This article discusses the most common soil resistivity testing method and provides some guidelines for properly collecting sufficient data for the cathodic protection system designer. One of the most important design parameters when considering the application of cathodic protection for buried structures is the resistivity of the soil. Soil resistivity testing is an important consideration for assessing the corrosivity of the environment to buried structures. It also has a tremendous impact on the selection of anode type, quantity, and configuration. Thus, it is critical that the CP designer have accurate data on the soil conditions at both the structure and at any proposed anode system locations. 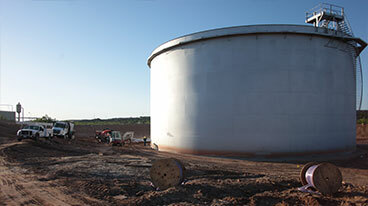 The lack of sufficient soil resistivity data can render a cathodic protection system (CP system) design ineffective and can result in costly remediation efforts during commissioning. Soil resistivity is the principal diagnostic factor used to evaluate soil corrosivity. When performing soil resistivity testing, there are numerous factors that can be assessed, including soil composition, moisture content, pH, chloride and sulfate ion concentrations, and redox potential. These are all common components of a lab or in-situ soil testing program and all have an impact on soil resistivity. While a comprehensive soil testing program may be warranted, especially when performing failure analysis, for most environments the soil resistivity testing data provides an outstanding basis for assessing soil corrosivity. Below is a typical chart correlating soil resistivity with soil corrosivity. While there are several methods for measuring soil resistivity, the most common field testing method is the Wenner four-pin method (ASTM G57). This test uses four metal probes, driven into the ground and spaced equidistant from each other. The outer pins are connected to a current source (I) and the inner pins are connected to a volt meter (V) as shown in Figure 1. When a known current is injected in the soil through the outer probes, the inner probes can be used to measure voltage drop due to resistance of the soil path as current passes between the outer probes. That resistance value R can then be converted into a soil resistivity value with the formula: ρ=2×π×a×R where “ρ” is measured in ohm-cm and “a” is the spacing of the pins in cm. This value represents the average soil resistivity at the depth equivalent to the spacing of the probes so if the probes are spaced 5 foot apart, the value derived would be equivalent to the average soil resistivity at 5 foot depth. For cathodic protection system design, it is common to take multiple soil resistivity measurements using this methodology with various probe spacings. For shallow anode placement, it is usually sufficient to take reading readings at 2.5 ft, 5 ft, 10 ft, 20 ft, 25 ft. For deep anode applications, soil resistivity measurements may be recommended at much deeper depths corresponding with the anticipated depth of the deep anode system. It is important to note that the soil resistivity values generated from the four pin testing represent the average soil resistivity from the earth surface down to the depth, and each subsequent probe spacing includes all of the shallow resistance readings above it. For cathodic protection design purposes, it is often necessary to determine the resistance of the soil at the anode depth by “subtracting” the top layers from the deep readings. This process of “subtracting” the top layers requires some form of computational adjustment. One popular approach is called the Barnes method which assumes soil layers of uniform thickness with boundaries parallel to the surface of the earth. If the measured data indicates decreasing resistance with increasing electrode spacing, this method can be used to estimate the layer resistivities. 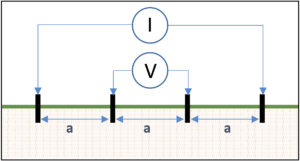 The resistance data (R) values should be laid out in a tabular format and then converted to conductance which is simply the reciprocal of the resistance value. The change in conductance is then calculated for each subsequent spacing. That value is then converted back to a layer resistance value by taking the reciprocal of the change in conductance. Finally, the layer resistivity is calculated using ρ=2×π×a×R. For the Barnes analysis below, the data shows that a low resistance zone exists between 60m depth and 100m depth. Electrically speaking, the earth can be a rather noisy environment with overhead power lines, electric substations, railroad tracks, and many other sources that contribute to signal noise. This can distort readings, potentially resulting in significant errors. For this reason, specialized soil meter equipment that includes sophisticated electronic packages capable of filtering out the noise is critical when taking soil resistivity data. There are two basic types of soil resistivity meters: high-frequency and low-frequency meters. High-frequency meters operate at frequencies well above 60 hz and should be limited to data collection of about 100 feet in depth. This is because they lack sufficient voltage to handle long traverses and they induce noise voltage in the potential leads which cannot be filtered out as the soil resistivity decreases and the probe spacing increases. These are less expensive than their Low-Frequency counter parts and are by far the most common meter used for soil resistivity testing. For CP design purposes, these are frequently used to assess soil corrosivity and for designing shallow anode applications. Low-frequency meters generate pulses in the 0.5 to 2.0 hz range and are the preferred equipment for deeper soil resistivity readings as they can take readings with extremely large probe spacings. Some models can operate with spacings many thousands of feet in distance. These models typically include more sophisticated electronics filtering packages that are superior to those found in high-frequency models. For CP designs involving deep anode installations, a low-frequency meter is the preferred equipment to provide accurate data at depths below 100 ft.
Suitability of the testing location. The use of the Wenner four pin testing method requires sufficient open area to properly space the pins to collect data to the depths necessary. For deep anode cathodic protection systems this would require a minimum of three times the anticipated anode system depth. Avoidance of buried piping and other metallic objects. The presence of any buried metallic structures (piping, conduit, reinforced concrete structures, grounding systems, etc…) provides low current paths that could cause a short-cutting effect that would distort the resistance readings and yield an erroneous soil resistivity reading. Depth of the probes. It is important that the probes are properly inserted into the earth. For shallow resistivity readings, probes that are driven too deep can impact the shallow readings. Ideally, the pins should be no deeper that 1/20th of the spacing between the pins and no more than 10 cm (4 inches) deep. Avoid areas of high electrical noise. Soil testing should not be performed directly under high voltage transmission systems or near other outside sources of current in the soil such as DC light rail systems. 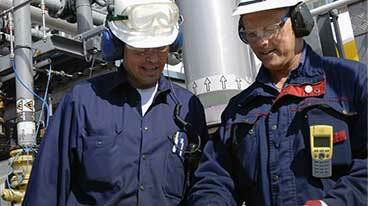 Accurately record the test location and conditions. It is important that the location of the testing is accurately recorded along with the soil conditions and temperature at the time of testing. Testing should not be performed in frozen soil, or during periods of extreme drought or abnormally wet conditions. Soil resistivity testing with accurate collection of data is the best indicator of the corrosivity of the soil for buried metallic structures and has a significant impact on the design of cathodic protection systems. 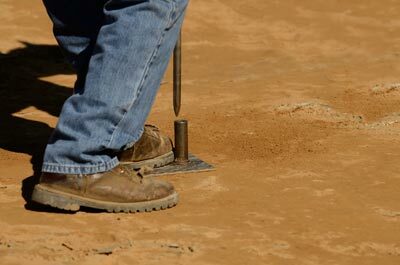 The most common test methodology for field collection of soil data is the Wenner four pin method. When properly collected, and using appropriate analytical techniques, the soil resistance field data can provide an accurate assessment of soil resistivity values for use in designing an appropriate cathodic protection system. Have questions about soil resistivity testing, or need a quote for services or cathodic protection design and materials? Contact us at the link below.